Christmas is a very special time of year, for me and for most everybody else. The holiday season is filled with great food, good cheer and of course, even greater Christmas cookies. 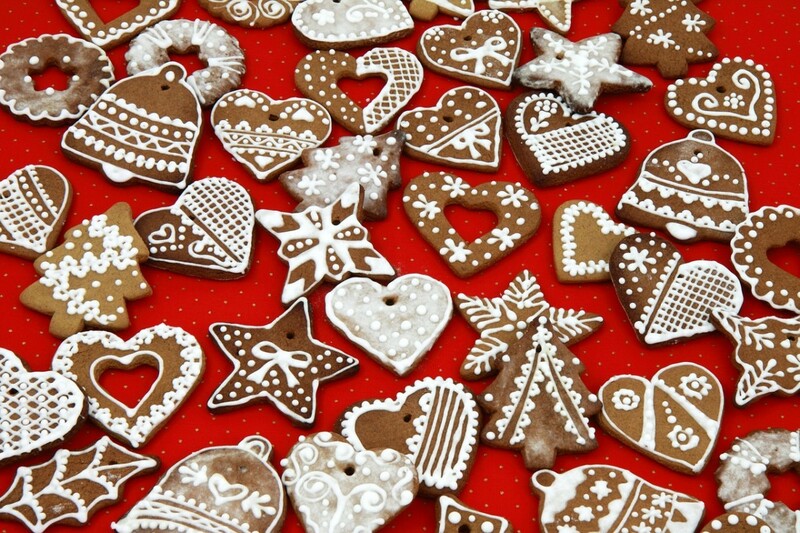 According to long-standing tradition, all Scandinavian homes must have at least seven different Christmas cookies at the holiday table. It's not hard to imagine that this magical number would symbolize abundance with all of the rich ingredients and precious spices. And it's lucky for us that this tradition still continues today. 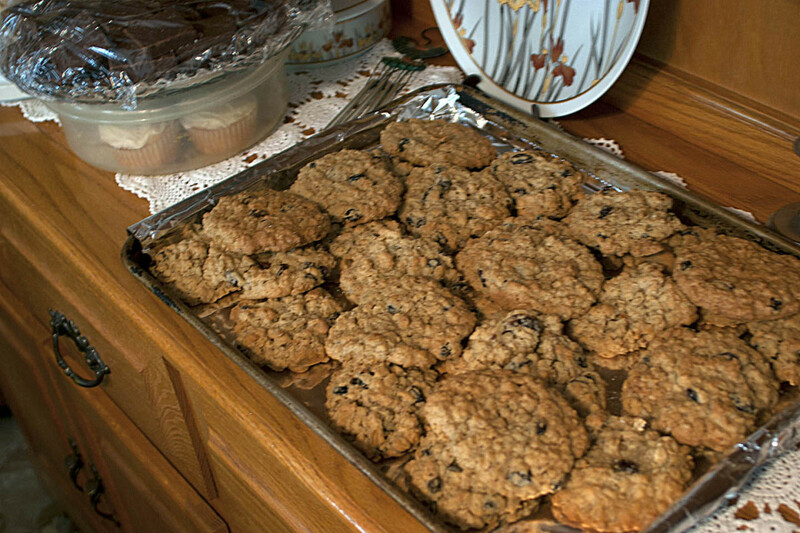 At my grandma's house, traditional cookies from the homeland were a big part of the holidays. After the main meal was finished, huge trays of cookies would be passed around while everyone enjoyed coffee, other sweets and of course the presents. My aunt would always make deep-fried rosettes. 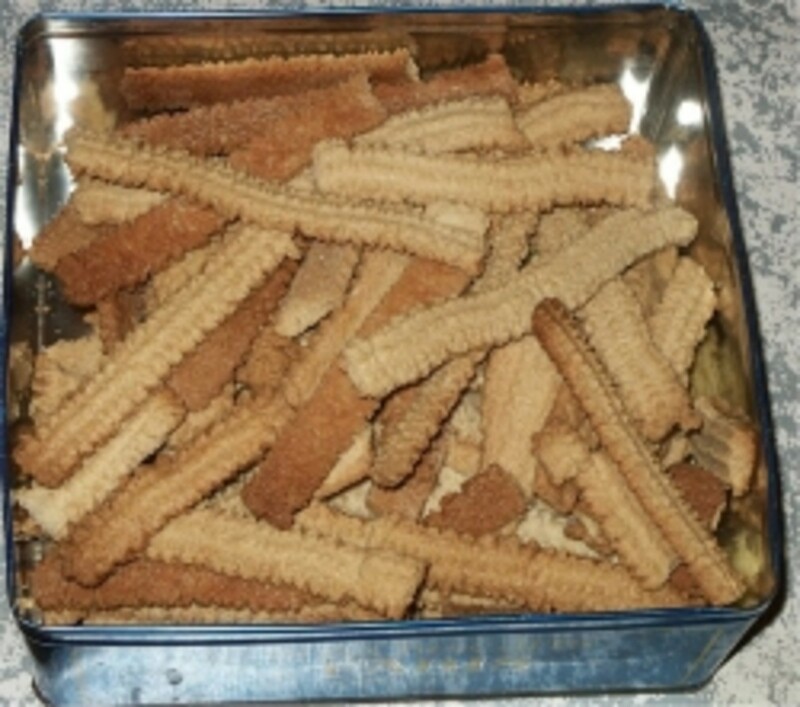 My mom and I would make several different cookies, usually the chocolate wafers listed below and pepperkakers laced with cardamom, black pepper and rare spices. My other aunt would make Swedish checkerboard cookies and brown sugar spritz. Finally, my grandma would make big stacks of Russian tea cakes, sugar-dusted almond crescents, regular spritz and walnut meringues. All of these buttery, sugary treats were put together in veritable smorgasbord of cookieliciousness. Here are a few of my favorite Swedish cookies that make the holidays. The Best In Swedish baking - If you buy one Swedish Baking Book, it should be this one. Although the name Marianne Gronwall Van der Tuuk is unfamiliar to most people, she happens to have authored one of the best out-of-print books on Swedish baking. Xeroxed by my mom and owned by my grandma this is the book my family baked by. Not only does this book have outstanding cookies recipes, you can learn how to make Swedish Pound Cake, The Opera Cake, and many other succulent sweets. Many of the recipe featured on this page are inspired by cookies featured in this classic cookbook. 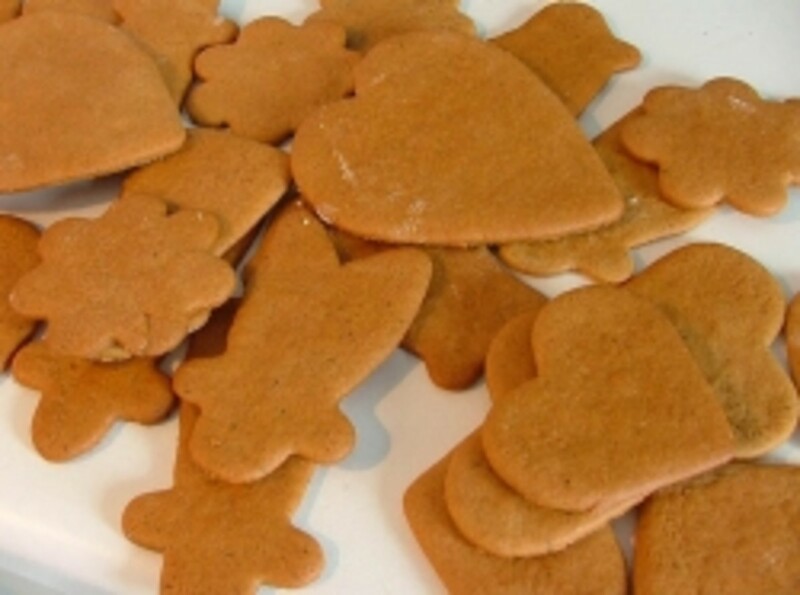 There are many ways to make Pepparkakor cookies and countless recipes. Anyway you have them, they're bound to be a favorite. Year after year, Pepparkakor cookies are my favorite, and they are so delicious dunked in a little coffee. Heat your Karo corn syrup (or sugar if desired) and add spices to extract all of their flavor. As the mixture cools, add the teaspoon of baking soda, butter, and one beaten egg once the mixture is cool enough not to cook the egg. Add four cups of flour - one cup at a time or until a stiff batter is formed. You may also add chopped almonds. At this point, you can roll the dough into sheets for using a cookie cutter or you may make several 1.5 to 2" diameter logs. Wrap and dough in wax paper and chill. 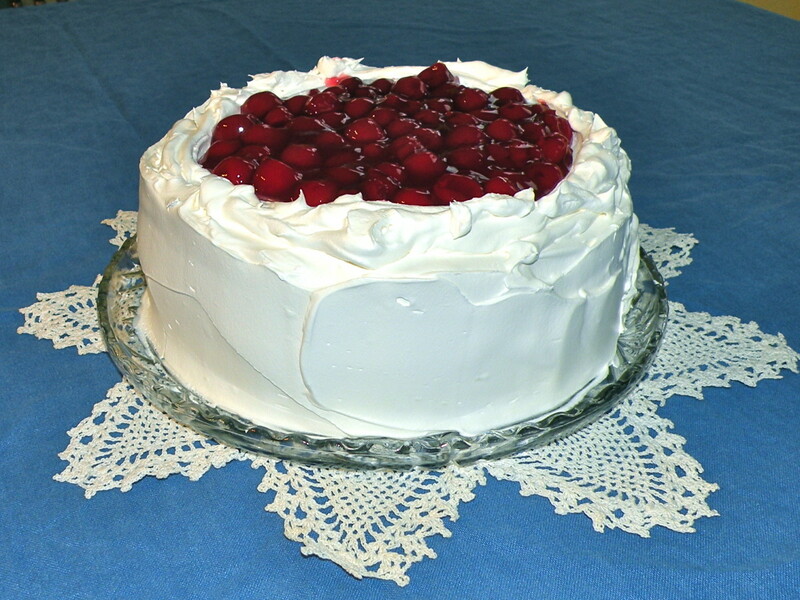 Traditionally, the batter is cooled in the snow or outdoors overnight, but the fridge works just as well. the next day or after a few hours the dough can be cut. Cut 1/4" cookies by slicing the log. Place on a baking sheet and cook for 8-10 minutes at 325F. This is just one recipe, and there are countless variations. These hard cookies also make great decorations. Punch a hole in the uncooked cookies and hang with a ribbon, or add icing decorations if desired. When I would help my Mom bake these Christmas cookies as a kid, it was always my job to prepare the fragrant spices. Crushing whole cardamom seeds from the leathery green pods wash such hard work, and grating whole nutmegs was even more difficult! Directions: Sift dry ingredients and cut in butter as if making a pastry or pie crust. Once a sandy texture is achieved, add the beaten egg and extra yolk as well as the almond extract. Load up your cookie press, select a decorative tip and press cookies onto a greased baking pan. If desired, add sprinkles or sugar and bake for 1 at 375 0 minutes or until lightly brown. Yields approximately four dozen. My grandma would always make circular spritz with a decorative tip. Load four or five on your finger and enjoy. Make a bundle of cookies in a minute with a handy cookie press. This old-fashioned tool is indispensable for making decorative ribbons, little circular wreaths and spritz cookies in countless shapes. Plus, it's one of the only gadgets that you don't need to plug in! Cream butter and brown sugar until light and fluffy. Blend in beaten egg, vanilla extract and salt. Add flour gradually until a soft dough is formed. Load up your cookie press with the dough and press out cookies onto a greased baking sheet. Bake for eight minutes at 350F degrees until golden-brown. 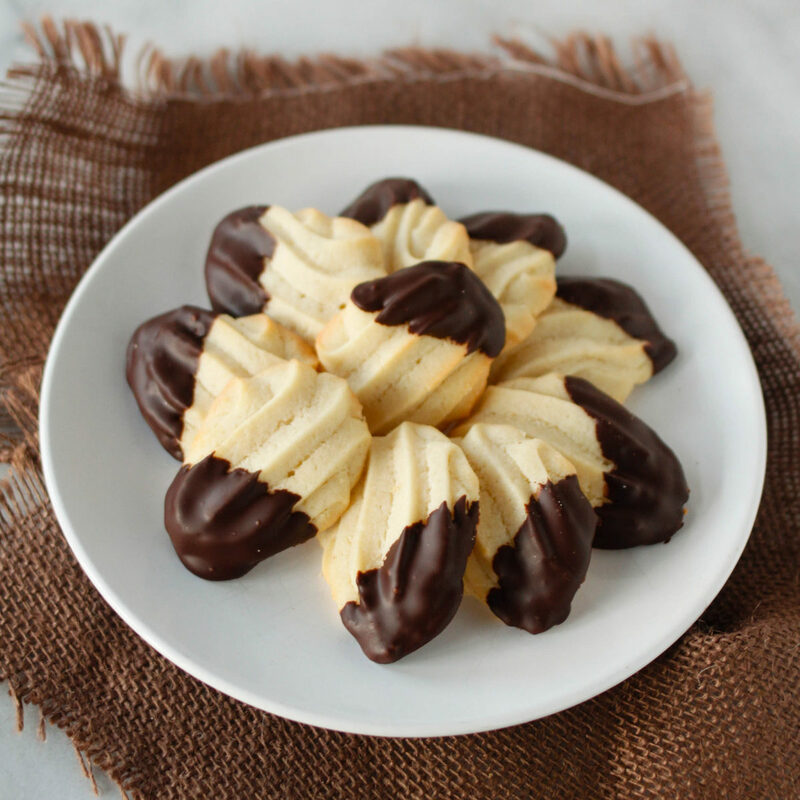 Walnut meringues are a really special cookie for me because my grandma was the only one who made them. 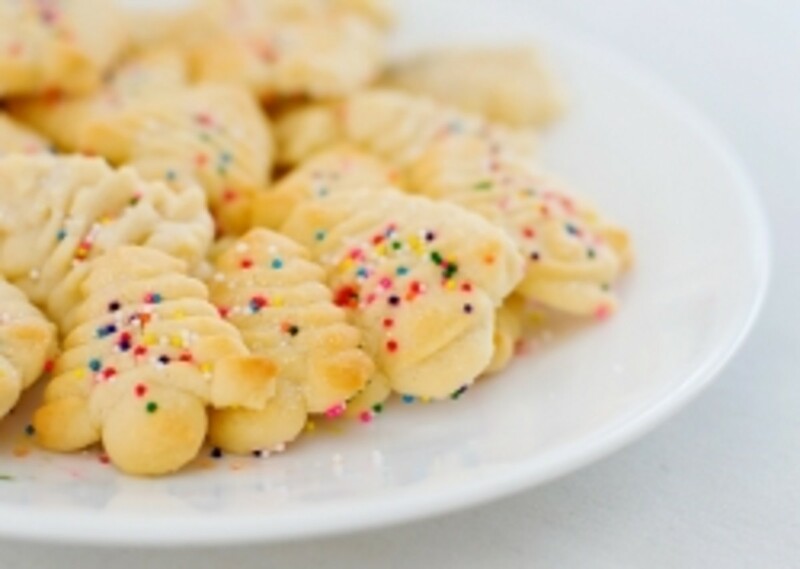 These lighter-then air cookies are so delicate and a real joy to eat. Beat egg whites with an electric beater until stiff, stiff peaks are formed. Gently, fold in the ground walnuts and sugar. Heat your oven to 350 and prepare a baking pan with butter and flour if a Silpat or non-stick surface isn't available. Place dollops of the meringue mixture on the baking pan leaving at least one inch between each cookie. Cook for 15-20 minutes or until golden. Cool for 10 minutes on the baking sheet before removing with a spatula. Allow to cool another 15 minutes before packaging. Stays fresh for 7 to 10 days if they stay around that long. 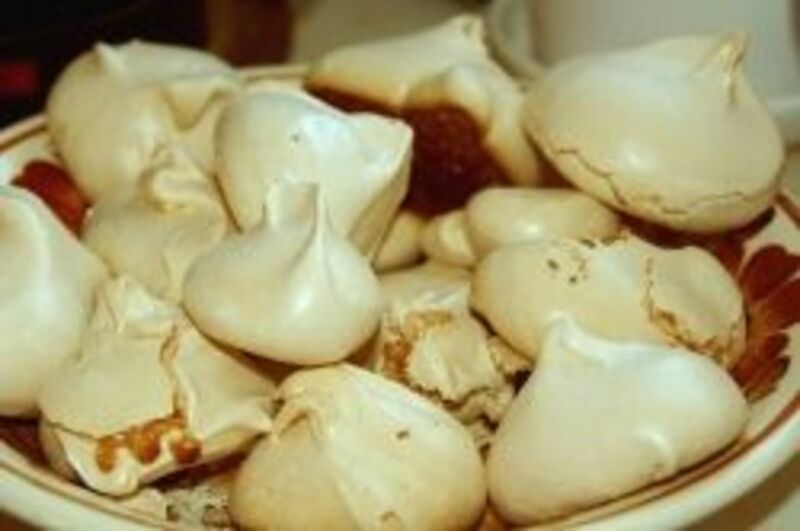 Walnut Meringues, a family recipe on Epicurious. This is quite like the chopping set that my mom would take down from the shelf so that I could chop almonds and other nuts for our cookies. Of course, you can always use a spring-loaded canister-chopper instead. Cream butter, sugar and vanilla until light and fluffy. Sift dry ingredients and add to the batter. Beat egg whites until stiff. Fold into batter gently. Refrigerate until firm and spoon onto a jelly roll pan pressing an almond sliver into the top of each cookie. Cook for 15 minutes at 350 until puffy. Leave on the pan until cool, and enjoy! Slivered almost are the perfect garnish for almost any Christmas cookie, and they're pretty healthy too. My mum also put a slivered almond on the top of each chocolate wafer. Cream butter and sugar until fluffy. Combine flour, almonds and salt together, and add to the creamed butter slowly. Divide the dough into four equal pieces and refrigerate for two hours or overnight. Roll each segment into a long rope approximately half-an-inch in diameter. Cut the rope into two-inch pieces, shape into a crescent and place on a greased baking sheet approximately two inches apart. Bake at 325 degrees for 15 minutes or until golden brown. Remove from the oven and dredge each cookie in the cinnamon-sugar mixture. Cool and store or enjoy right away. Cream butter and sugar until light and fluffy. Beat egg and milk before adding to the creamed butter. Next, add the flour and blend until the dough is well mixed. Divide the dough in half. Add the cocoa powder to one half for coloring and leave the other half plain or add food coloring if desired. Divide each half in half again and roll into a rope approximately 15 inches long. Place one rope of each color together and mush together before placing an alternating combination of colors on top. Wrap in waxed paper and apply pressure to solidify the bond. Allow to chill for one or two hours or overnight. Cut 1/4-inch cookies from the log and place on a buttered baking sheet. 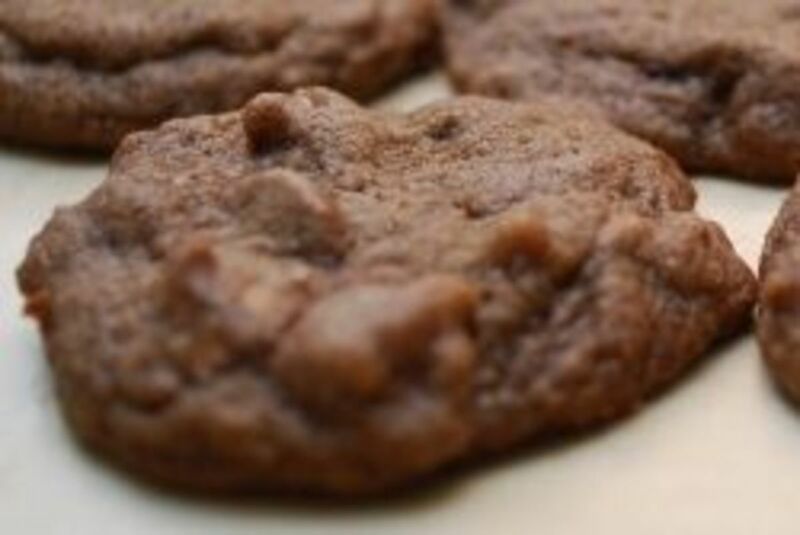 These cookies are baked for a short time at a high temperature. Bake for 5-8 minutes at 400F. Cut each half of the dough into two pieces. Roll each piece of dough into a rope about 15 in. long. Lay one white rope next to one chocolate rope. Lay the other white rope on top of the chocolate rope; lay the remaining chocolate rope on top of the white rope. Wrap the whole thing up in plastic wrap and kind of press it to square off the edges. Refrigerate at least 1 hour. Cool and taste your delicious treat. 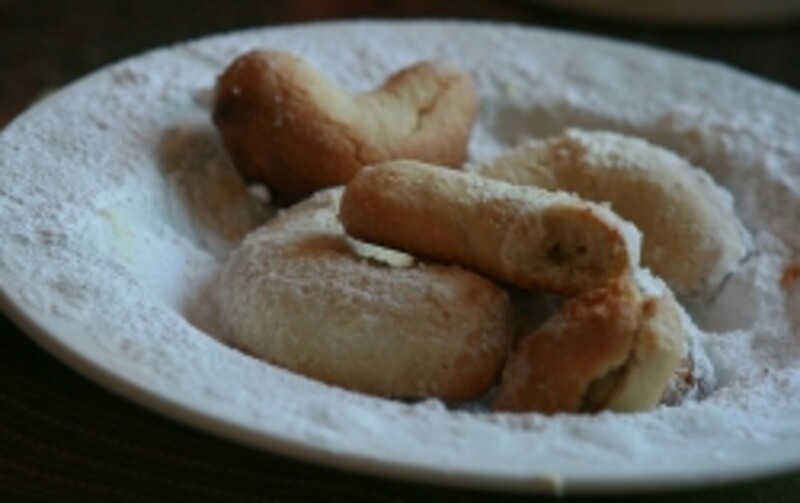 Light, delicious and deep fried, these delicate cookies are like funnel cake with a Scandinavian flair. To make these beautiful cookies, you'll need a rosette iron and plenty of cooking oil. Whisk milk and eggs together. Blend in flour, sugar and vanilla extract and chill for one-two hours or overnight. 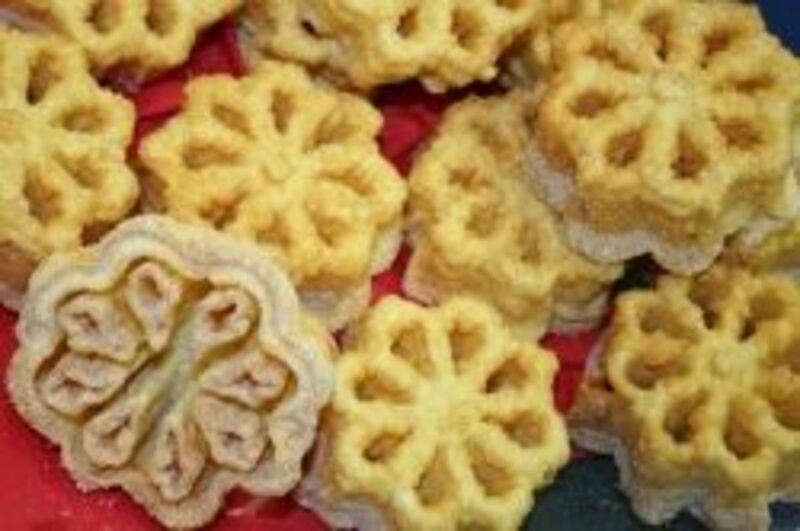 To cook your rosettes, heat two quarts of vegetable oil or peanut oil in a large pot. When the oil reaches 365 degrees according to a candy/deep frying thermometer, it's time to cook. Dip the rosette iron into the bowl of batter being careful not to get batter on the top. For best results, coat 2/3rds of the iron. Submerge the iron in the hot oil until the rosette loosens itself from the mold. Flip and cook until golden brown. Remove your rosettes from the oil with a slotting spoon or deep frying basket and allow to cool. 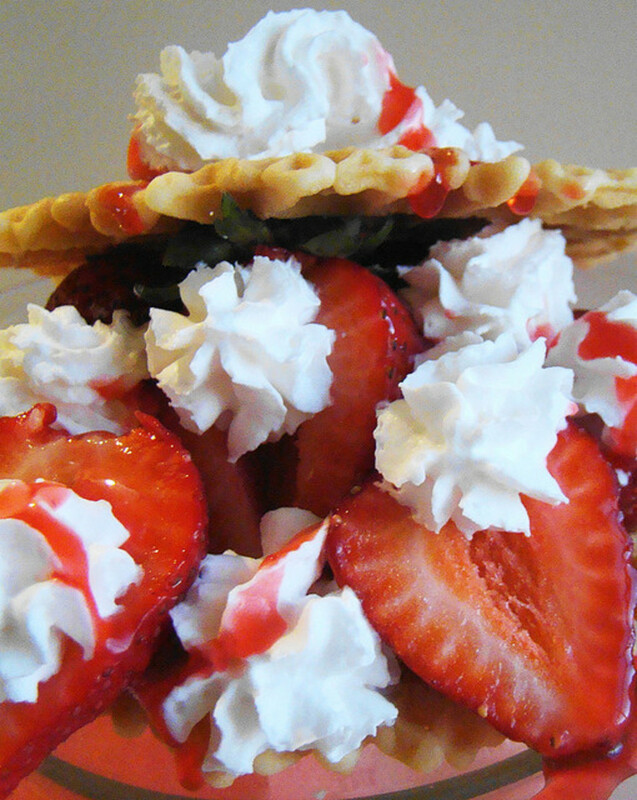 Spring with confectioners sugar or fill the nooks and crannies with jam. Rosettes on "My Imaginary Blog"
My aunt always used these traditional irons to make her rosettes. They also make starts and other shapes, but this one is more traditional to me. The irons attach to a long metal stick so you can safely lower the batter-coated mold into the hot oil. Okay, this cookie might not be for everyone! When baking loads of cookies, air your baking trays outdoors to cool them quickly and prevent the batter and butter from melting too quickly. In addition to using cooling racks, paper grocery bags make great, inexpensive cooling sheets that absorb a little excess butter and oil. 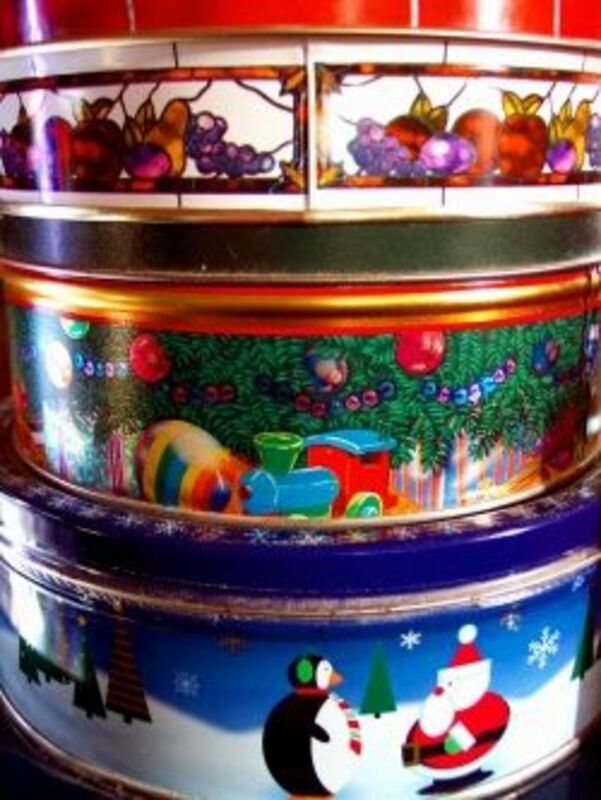 Line air-tight cookie tins with paper towels to preserve freshness and protect the metal lining on your cookie tins. Store almonds and other nuts in the freezer to preserve freshness. Glass jars work great to seal the freshness in, keep the flavors out and prevent rancidity. 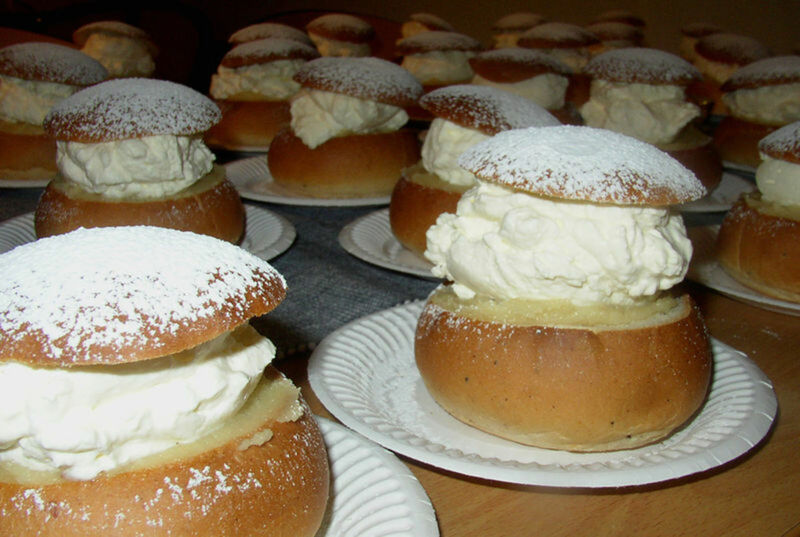 Semla, a traditional Swedish delicious cake or pastry, recipe and history! I'd like to try the spritz cookies. 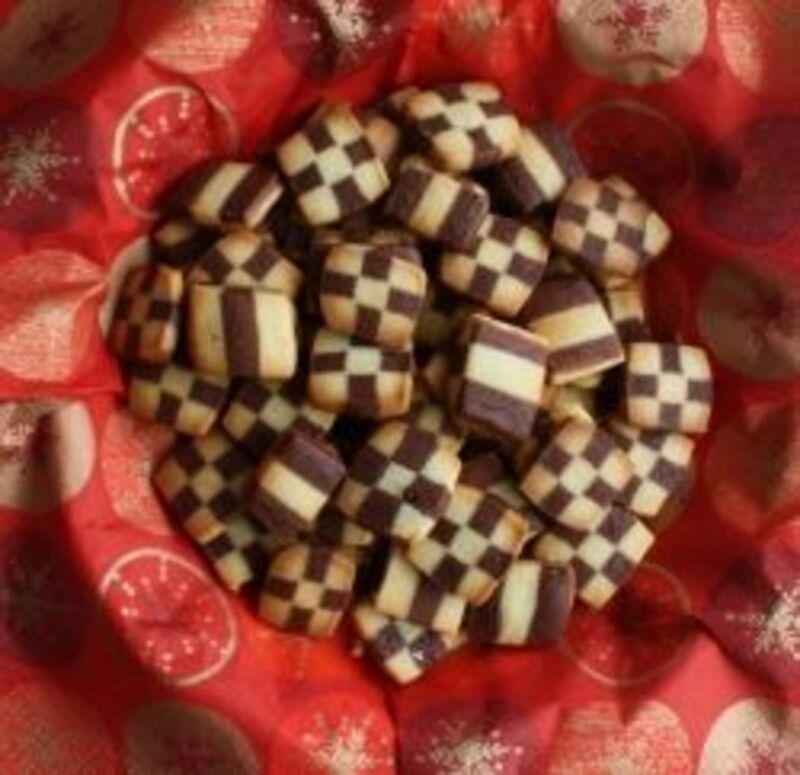 The checkerboard cookies are pretty...but they taste like dirt. You have some very good recipes here. Thank you for writing them down for us. I especially liked the checkerboard cookies. What unique idea.